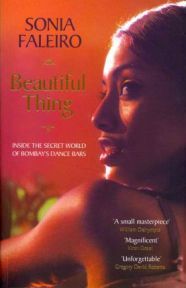 I’ve long been aware of the shady world of the Mumbai dance bars because I was in Mumbai in 2005 on a business trip at the time of the crackdown which is described in the book. The local papers were full of the news of the closure of the dance bars and I asked a local colleague what it was all about. All recipes have some kind of historical significance to them. How they originated, where they originated and why they are the way they are. In The East Indian Kitchen, Michael Swamy sets out to trace the culture, traditions and culinary practices followed by the East Indians – of Mumbai, who were the original inhabitants of the seven islands that formed Mumbai and who converted to Christianity after the Portuguese arrived in the islands. 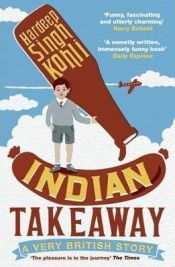 The book in the end turns into a very personal search for culinary roots and origins written by a chef who studied at the Cordon Bleu Culinary School in London, who has worked as a food stylist for Indian TV channels and whose grandmother is East Indian. The East Indian Kitchen is the second edition of Swamy’s book Enduring Flavours, which was based on the way the East Indian community had adapted to changing times. Chettinad food is known for its spicy hot flavours, that can bring tears to the eyes of those unused to encounters with chillis. In the last few decades it has been making its presence felt in five star hotels and offering foodies an alternative to the traditional South Indian vegetarian cuisine. Alamelu Vairavan’s third book makes few concessions for Western readers like offering mild spice variants, even though she herself is based in Wisconsin. In this book she has listed 170 recipes, clustered under different headings to make the book easy to navigate. 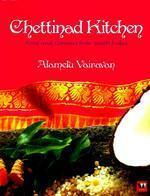 Each recipe has a detailed list of ingredients including the traditional sambar – there are nine varieties to choose from – six different rasams, including prawn and chicken, chutneys and tamarind rice, though the recipes in this book are primarily non vegetarian, since that is what Chettinad food is famous for. The book opens with Ginny and her mother in Mumbai in the 1980’s – Ginny is hungry short of money and desperate for her mother’s attention, though we don’t quite realise why. I first became aware of Hardeep Singh Kohli though the Channel 4 television series ‘Meet the Magoons’ which was set in a Glaswegian curry house and starred a bunch of great British Asian comic actors. These included his brother Sanjeev Kohli (the writer of the equally fabulous radio 4 comedy ‘Fags, Mags and Bags’), the guy who plays the postman in East Enders and the father from The Kumars at No. 42. I thought the series was hilarious and I loved the weirdly eccentric turban-wearing kilted Kohli. Unfortunately it seems that only I, my husband and another three viewers who were probably Kohli relatives thought it was funny and the show was pulled after just one series. I never have been good at finding humour where others look for it. She goes back to vedic times for the evolution of rice, though in one of its simplest forms, the humble conjee or kanji, and talks about how the word for rice was actually used in Asian countries as a synonym for food. 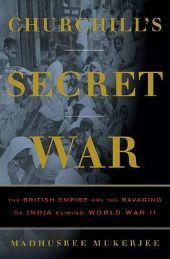 When he died Churchill was given a hero’s funeral because he had kept British morale high in the face of Hitler’s Blitz. However, where India was concerned his policies had ensured that what had once been India’s richest state was drained and impoverished. 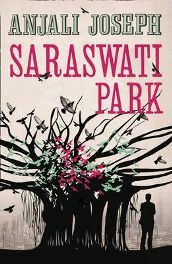 There’s something Chekhovian about Saraswati Park, in its collection of small intimate details about life in Mumbai’s suburbs which is very different from the glitz and Page 3 electricity of Mumbai proper. 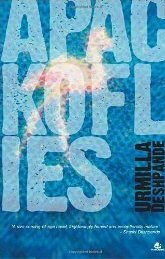 It’s a novel about the everyday lives of small suburb people. Mohan Karekar, who every day goes to the post office to write letters for those who cannot do it for themselves, and his wife Lakshmi, who wakes every morning to the clattering of teacups put beside the bed by her husband. Mohan, a character straight out of RK Narayan, has aspirations to become a writer one day and buys pirated books from the roadside hawkers, including a treatise on how to write. Everyone knows a Kashmiri shawl wala or carpet seller – they arrive with the coming of autumn carrying treasures of colour in their autumn leaf brown bundles. And then they disappear with spring for months on end and you occasionally, reading about disturbances in the Valley, you wonder whether they will reappear. At the heart of Urmilla Deshpande’s novel is Samaad, a carpet seller who speaks the Queen’s English because he happened to have been educated in England. He is a man with a mission – he has discovered a mineful of priceless Kashimiri sapphires, the Kashmir Blues of the titles and he wants to use the sapphires to ensure peace for the part of the Valley in which he lives.